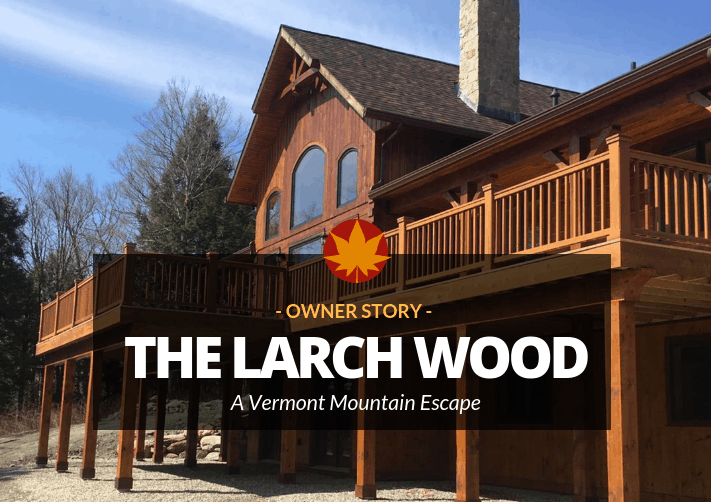 For Michael and Diana Heslop, arriving at their log getaway in the mountains of Vermont feels like a sweet reward. Not only because they’re surrounded by magnificent scenery, but also because they’ve come so far to see it. For the couple, getting here involves a plane ride from their full-time residence in Bermuda. For Diana, the satisfaction you get coming home to their Confederation home is nothing new. 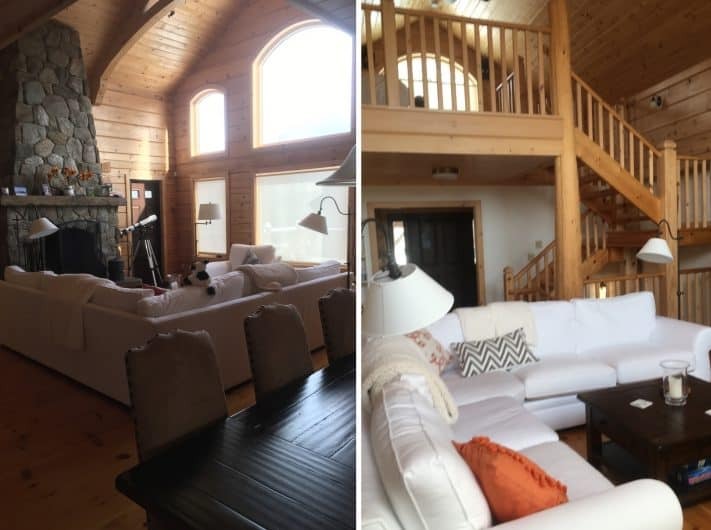 She grew up spending summers at a family cabin on the Georgian Bay in Ontario. 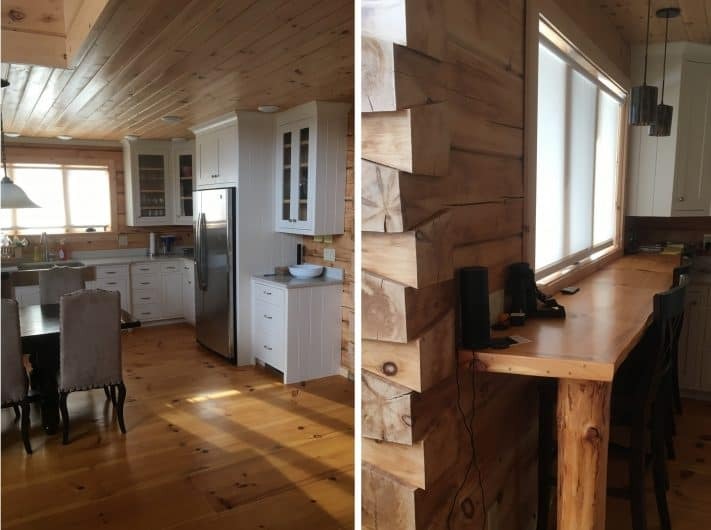 After a few years, her father built a couple more cabins using Confederation Log & Timber Frame. “I have watched these cabins age. The climate is pretty harsh there, but I have seen for myself that they can weather the storms,” says Diana. 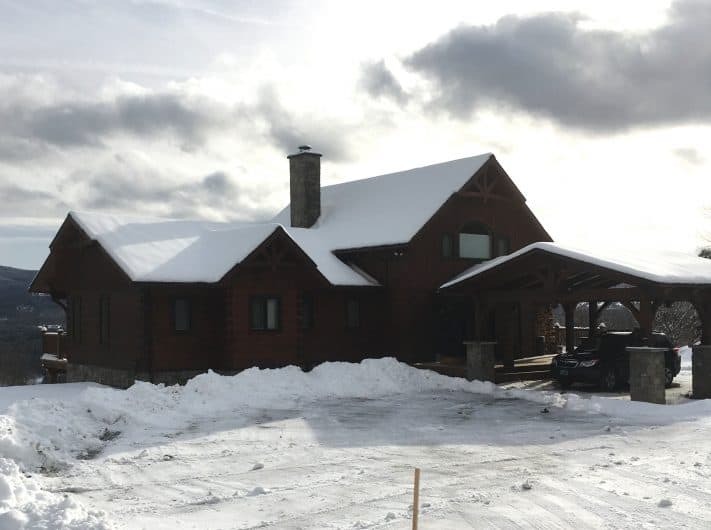 Knowing that Confederation equals quality made choosing the company an easy choice for the couple when it came time to build on the land in Vermont they had purchased years earlier. Though the Heslops knew they wanted a Confederation home, taking the plunge to working with a Canadian company to build a house in Vermont while they were living in Bermuda “was a daunting idea at first,” she says. But Diana quickly realized that distance didn’t hinder the design process. “We did everything through telephone and email, and it was really seamless. We would discuss something, then the design team would draw it up and email it to me,” she says. Through the process, which spanned over the course of a year, Diana also felt comfortable taking her time through all of the design decisions and selections: “Confederation was very patient. I never felt like I needed to settle for something I didn’t like.” Once it came time to build, Diana reached out to a long-time builder friend to partner with her and Confederation through the process. “It was a team effort with the three of us, she says. 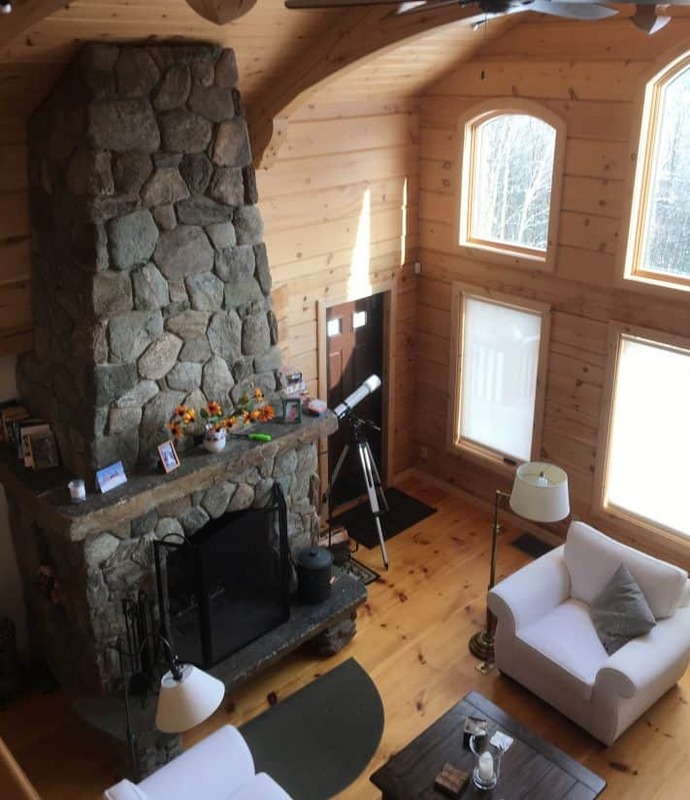 The result of their efforts is a three-level log home with soaring ceilings, an abundance of windows and eye-catching tree posts. A walk-out lower level features a guest suite and a recreation space. On the main floor, an open but cozy layout centers around the great room – “the heart of the home, says Diana” – and kitchen. The ground floor shares square footage with a master suite and another bedroom.